Macedonian President Gjorge Ivanov met with Turkish President Redzep Tayyip Erdogan in Istanbul. 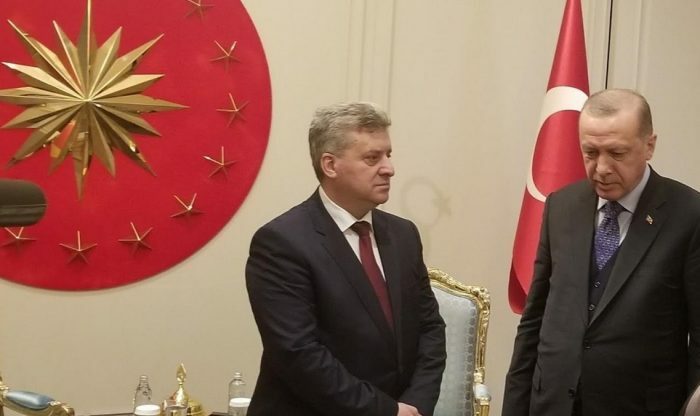 President Ivanov’s office said that the two leaders discussed the high level of bilateral cooperation between Macedonia and Turkey, and the current events in both countries such as the upcoming presidential elections in Macedonia and the local elections in Turkey. Regional and European challenges and issues were also topics of discussion. President Ivanov also expressed condolences to President Erdogan on the deaths of 16 people in the tragic apartment building collapse in Istanbul.